Thank you for your many years of patronage. Our retail store has closed, but our loyal customers remain in our hearts. 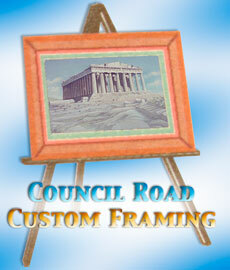 Copyright 2011 - Council Road Custom Framing. All rights reserved.